Goalkeeper Gianluigi Buffon believes Paris Saint-Germain made things look "easy" in their 2-0 win at Manchester United on Tuesday night. 19-year-old Nicolo Zaniolo was lost for words after scoring both of AS Roma's goals in their 2-1 win over FC Porto on Tuesday night. Borussia Dortmund manager Lucien Favre didn't rule out punishing Jadon Sancho after he delayed their flight to London due to leaving his passport at home. Caretaker boss Ole Gunnar Solskjaer has challenged Alexis Sanchez to rediscover the "quality player" that he can be following another lacklustre display in their 2-0 defeat to Paris Saint-Germain. 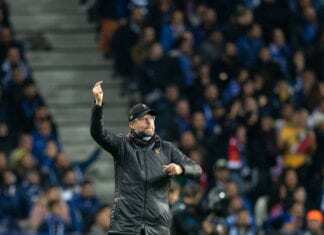 AS Roma manager Eusebio Di Francesco felt his side "deserved to win by two goals" in Tuesday night's first leg win over FC Porto in their last-16 Champions League tie. Paris Saint-Germain boss Thomas Tuchel is refusing to get carried away following their 2-0 win at Manchester United on Tuesday night. The Champions League is back and we would like to present you the top five Champions League games between clubs from the Bundesliga and the Premier League. Manchester United welcomes PSG, as the Champions League's knock-out stage starts today. We would like to get you ready for the clash between the English and French giants. The Champions League knock-out stage starts today and we present you a video of the best group stage goals form this season as an introduction. In today's history section, we would like to remember Raul Gonzales Blanco - a Real Madrid and La Liga great with many trophies won in his career.